Calling all bird lovers! 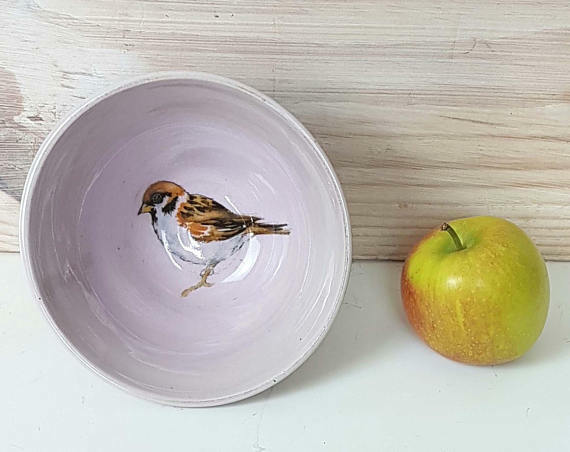 This handmade lilac terracotta bowl features a sparrow in the centre It would be ideal for a small cereal or dessert bowl. 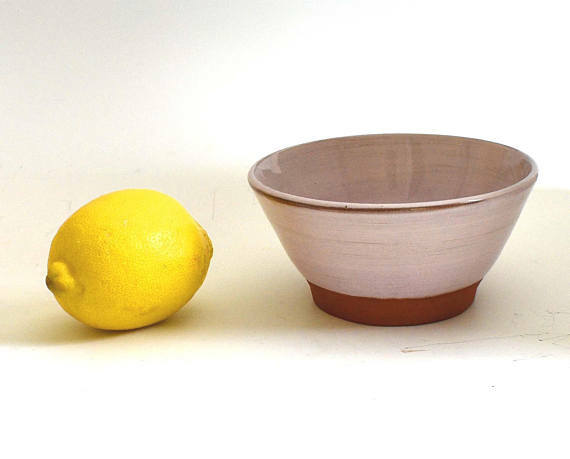 Other handmade bowls featuring british birds are available and also mugs. 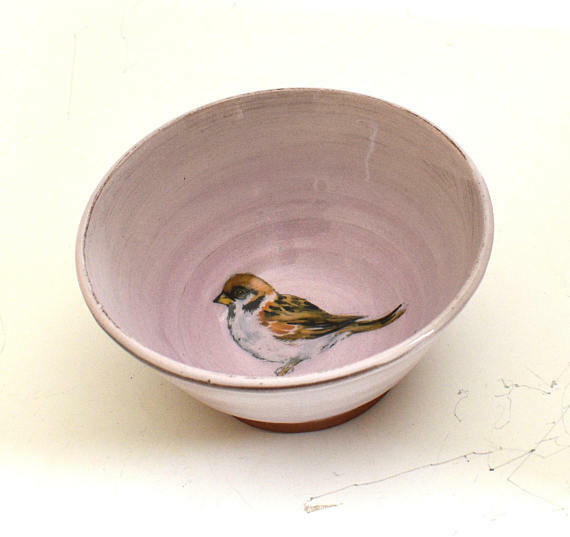 I also make a sparrow mug.